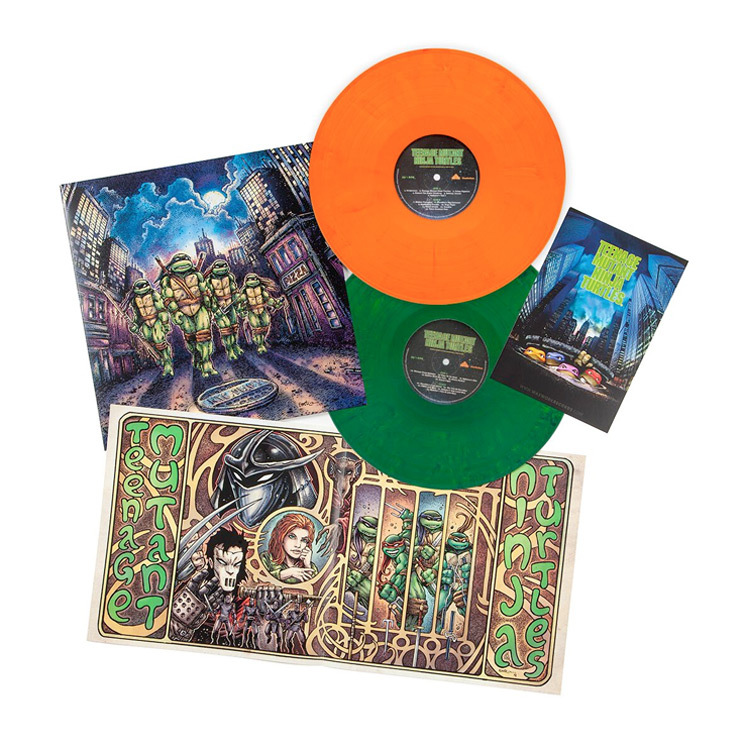 Remaining as prolific as ever, Waxwork Records has announced its next release will be none other than the original score to 1990 live-action film Teenage Mutant Ninja Turtles. As any child of the '90s will immediately recall, this marked the first motion picture adaptation of the crime-fighting, pizza-loving heroes in a half shell. And while the film was a huge hit, the complete score has actually never been released on any format (though a various artists album featuring none other than MC Hammer did arrive alongside the film). This will now change thanks to Waxwork, which on Friday (October 19) will release the complete score to TMNT by John Du Prez. The release comes as a collaboration with not only Du Prez, but also TMNT co-creator Kevin Eastman and Nickelodeon. For the 2-LP release, the two slabs of vinyl will contain all of Du Prez's music made for the film, with the entire score being restored and remastered. The album art, which you can see above, was created by Eastman. The vinyl itself will arrive as two 180-gram coloured LPs, with a total of eight — yes, eight — vinyl variants available (Leonardo, Michelangelo, Donatello, Raphael, Casey Jones, April O'Neil, Master Splinter and the Foot). The packaging will feature old style tip-on gatefold jackets with satin coating and include a 1990 TMNT film poster postcard. You can get an idea what to expect from the OST by streaming a sampler below the tracklist.